Learn about antioxidants, better food choices and why you need NuMedica Power Greens Berry! Power Greens Berry as a Substitute for Diet Drinks! Try NuMedica Power Greens Berry in these great-tasting, healthy smoothie recipes! NuMedica Power Greens Berry is a delicious nutritional powder-drink mix that is rich in certified organic plant extracts. Brimming with a healthy blend of natural vitamins, minerals, and antioxidants, this gut-health supplement is designed to support the body's immune system, promote better digestion, and provide natural cleansing properties with its more than 50 super foods. NuMedica Power Greens Berry may also help to improve metabolism and enhance your body's natural fat burning ability being a natural energy booster and probiotic that contains no gluten, dairy, preservatives or MSG. 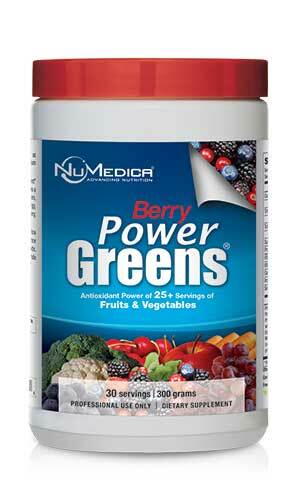 NuMedica Power Greens Berry is available in a 30-serving canister and as singles. The single serving size is convenient for travel and other on-the-go situations. Try substituting a Berry Power Greens single for that drive-through beverage on the way to work or school and notice how much better you feel. NuMedica Power Greens comes in other flavors besides Berry including Chocolate, Espresso, Mint and Power Reds Strawberry-Kiwi. 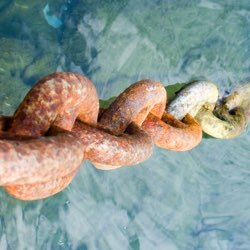 Are you rusting from the inside out and don't even know it? 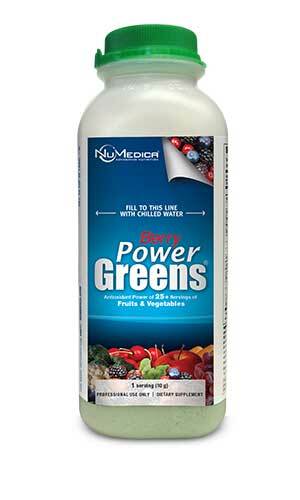 NuMedica Power Greens Berry Helps Get the Rust Out! So called Superfoods, of which there are over 50 in NuMedica Power Greens Berry, and nutrients are also an important part of reducing oxidation. Antioxidant foods and nutrients are those that have the chemical ability to "absorb" the oxidation, so to speak, because they are able to accept the negatively charged electron that causes so much damage to the neutral charged cellular parts. Power Greens Berry by NuMedica is a Potent Sophisticated "Living Food"
NuMedica Power Greens Berry provides nutrients, antioxidants, probiotic flora and digestive enzymes that support your body's ability to prevent damaging oxidative reactions. This sophisticated nutritional drink mix addresses digestion, probiotic needs, and antioxidant needs. 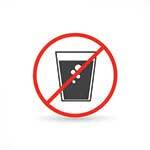 Many people, especially as they age or take anti-acids, do not digest their foods properly. 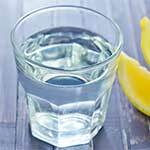 Adequate stomach acid is necessary for protein digestion and activation of the body's own digestive enzymes which break down large proteins into smaller, absorbable amino acid building blocks. Power Greens contains a variety of digestive enzymes to assist with this digestive process such as bromelain (from pineapple), papain (from papaya), and other digestive enzymes (lactase, amylase, protease). 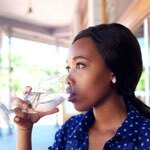 Proper digestion is a basic starting point in wellness. As your body goes through the digestive process, creating the energy it needs to survive and thrive, oxidation occurs. Oxidation, when controlled, is a normal process. 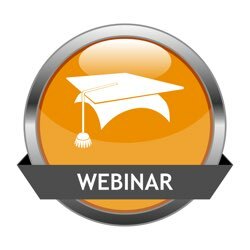 Most people, due to poor nutrition, excess stress, and gastrointestinal problems, have too much oxidative stress. NuMedica Power Greens Berry contains a wide variety of powerful antioxidants from plants and super-fruits (Noni, Mangosteen, and other berries). NuMedica Power Greens Berry addresses these health needs by providing beneficial bacteria to the gut (Lactobacillus and Bifidobacterium) as nutrients known to modulate the immune system response (B-glucan). The scientific literature suggests that beta-glucan, a long chain sugar found in yeast, mushroom, and grains, helps the immune system in ways that: 1) reduce tumor growth, 2) reduce infection such as in high risk post-operative patients 3) enhance immune health after radiation, and 4) decrease inflammation as seen in allergy and arthritis. So you see that it is all tied together and NuMedica Power Greens Berry is an excellent way to address gastrointestinal health, immune system support, and digestion. By providing a high ORAC antioxidant value, this gluten-free, dairy-free, superfood may be an excellent addition to your supplementation program. With its nutritional makeup, each scoop of NuMedica Power Greens Berry provides twice the antioxidant protection recommended by the USDA. 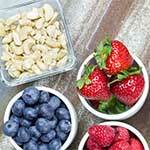 Antioxidants are powerful natural molecules that eliminate dangerous free radicals from our bodies. Free radicals are damaged cells that can compromise your health and lead to the onset of disease. A nutrient-rich diet high in antioxidant protections allows us to reduce free radicals from the body to slow the aging process and potentially ward away disease. Many people who take NuMedica Power Greens Berry on a regular basis report feeling rejuvenated and revitalized with natural energy. 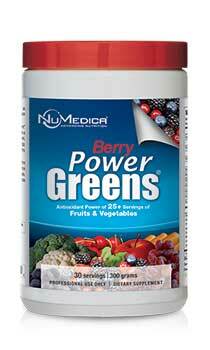 NuMedica Power Greens Berry relies on its super blends to promote its healthful benefits. The ingredients in its berry and herbal blend, vegetable blend, antioxidant blend, and digestive blend combine to create a powerful supplement of super foods like spinach, apple, pomegranate, mangosteen, kelp, goji, cinnamon, grape seed, carrot, broccoli, and many others to deliver a concentrated supply of nutrition. Power Greens Berry (Canister) 1 Scoop (10 g) 30 Add one scoop (10 g) to 8 ounces of chilled water and stir or as directed by your healthcare practitioner. Keep refrigerated for maximum freshness. Power Greens Berry (Singles) 1 Container (10 g) 1 Add 8 ounces of chilled water to container and shake. Keep refrigerated for maximum freshness.